Gone are the two 34 quart storage boxes. We needed more storage for our legos ... much more! I loved the idea Family Fun featured in the November 2011 issue. Which is basically what we've got now, just minus the board on top that creates a smoother building surface. We mostly build on the floor anyway. If I ever get around to turning the nursery into a playroom/office, maybe I'll move the bricks in there and add the board and space for a chair or two. 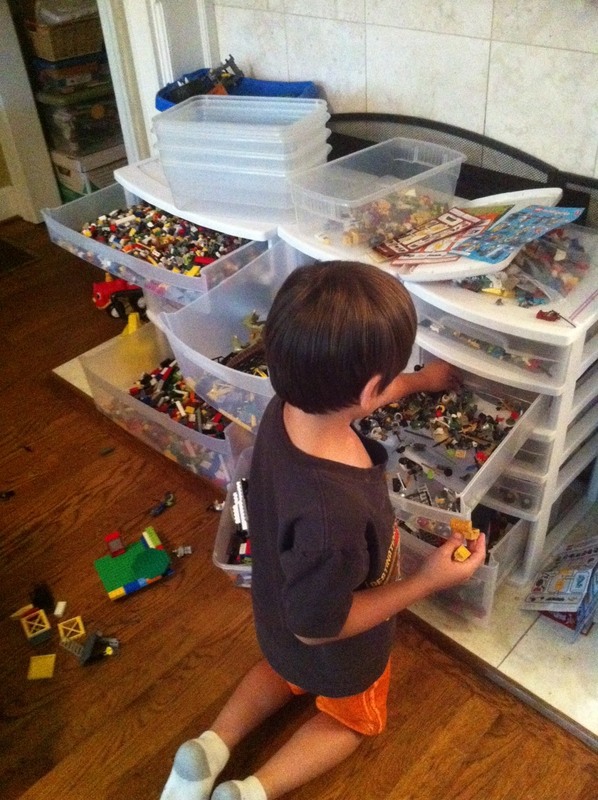 I love Remy Evard's (funny) essay on lego storage. I think we are now around step 11.